Bob: This is FamilyLife Today for Monday, November 19th. Our host is Dennis Rainey, and I'm Bob Lepine. How do we raise children, who are not just Bible readers, but Bible explorers? We’re going to talk about that today. Stay with us. Bob: Yes; we thought it was going to be all those kinds of issues, but you remember what the number one issue was; don’t you? Dennis: I do—spiritual life in the home. Dennis: Recently, Barbara and I got away on a vacation. One of the things we were talking and praying about is what the couple who join us today have already done. The concept is found in Psalm 78, where it talks about a generational relay race that every follower of Christ needs to run and needs to know how to make a good handoff to the next generation. Bob: That’s the reason that the organization that this couple is a part of is called Truth:78—because of that Psalm. Dennis: That’s exactly right. David and Sally Michael join us on FamilyLife Today. David/Sally, welcome to the broadcast. David: Our pleasure to be here. Dennis: David and Sally hale from Indianapolis, Indiana—David’s a pastor there. Sally is, really, one of the founders of Truth:78. She is the co-author, along with Jill Nelson, of a family devotional called Glorious God, Glorious Gospel. Sally: I did not grow up in a Christian home. I was saved at 12. My parents didn’t know the Bible themselves, so they couldn’t spiritually nurture me; but they did send me to Christian schools, which was a huge blessing in my life. When I had children, I wanted to make sure that they knew the Word of God. We had taught Bible clubs before. We would always get frustrated with the material; because it was teaching good morals / it was teaching man-centered theology, I would say. We would keep having to change the material to teach it. We would just get so frustrated with it; because we really wanted our children and other children to really know the God of the Bible—not the men of the Bible—and not a God, who was very limited and small because He only has a few attributes like love and kindness—but in His full-facetted personality and character. I think the Lord just kind of bred that in us. I have always had a passion, since becoming a Christian, of making sure that other children grew up with the truth that I did not grow up with. Dennis: You had two daughters. Sally: We had two daughters. Dennis: Is this kind of how you taught them, at that point, then? Sally: You can help your children to see that God is a God of tremendous providences. God placed him there just at the right time. You could use that book and just insert theology in it, because all he does is tell a story. —I mean, those capture the imagination of children. David, you can understand why people, who have a heart to want to share the Bible with kids—they gravitate toward those stories because hearing about a lion, whose mouth is shut when you’re sent into the cave—that’s something that kids are waking up and paying attention to; right? David: And everybody knows kids love stories. I think, as we were raising our children, the disconnect between what children are typically taught from the Bible and what the Bible really teaches of God—that disconnect was what drove us toward this passion to—out of Psalm 78 there—just teach the truth to our children. We’re hiding the truth by ignoring the main character of the Bible. —that really ties it all together; doesn’t it, Sally? Sally: Yes; I think God is still writing a testimony in our own lives and hearts of His people. We, so often, don’t share that testimony with our children. I think, even as we read the Bible, as adults—so often, we just read it—and we read the words and, “Oh, those are good truths,”—but to stop and say: “Okay; what does this mean in my life?” “What is God saying to me?” “How is He leading me?” “What do I need to change?” “What do I need to obey?” “Is there a promise here for me to hang on to?” Then, what you have seen from the Word—what the Lord is working in your heart—just open your mouth and talk about it with your children. Then weave Him into all of everyday life. You can say to a child; for example, who’s facing a piano recital—who’s a little nervous about that piano recital—you can say to that child: “Oh, you’ve practiced really hard. “You know what to do. You feel a little nervous; but when you get up there, your fingers are going to remember. You’re going to know how to play that piece.” And you’ve just turned that child only to her own strength. So you know what? You take that verse, and you walk up to that piano and you say, “Lord, I am in Your hands.” And when you play, you play for Jesus, knowing that He is there with you—He is behind you; He is in front of you; He is beside you. You put your hands in the hands of Jesus, and you play for Him. No matter how you play—no matter how your piece comes out—you will not be shaken; because you are standing on the Lord. Bob: Sally, you got emotional, just recalling that verse. Dennis: Why is that verse so meaningful in your heart? Sally: I think the promises of the Bible—they are so precious—they are so precious, and they speak to all of our experiences in life. If we live our lives focusing on those promises, we’re going to live life very differently. We’re going to bring God into all of life. —His constant presence with His people; His faithfulness to guide them, to be with them, to help them in their weakness. We tend to turn children into, “Okay; you’re strong enough yourself.” They’re not; they need the Lord. Dennis: About a week later, he got together with his grandson again and said, “What’s up?” And he said: “Well, I think I’m going to play basketball. I think that’s what He wants me to do.” Those may not sound like a big deal; but when we have an encounter with Jesus Christ ourselves; and then, we can introduce our children / our grandchildren to have an encounter with Christ, that’s passing on our faith in a living fresh way. —that’s a new name for a ministry that some of our listeners may have heard of before. Tell us a little bit about the organization. David: Yes; they may have heard of Children Desiring God, which is 20 years old now. That’s where we started, back when these passions were emerging. We created Children Desiring God as a way to provide God-centered resources and to make them available for the church. Fast-forward 20 years, after some reorganization, we needed to come up with a new name. Came up with Truth:78 mainly because Psalm 78 has been a signature text that has defined our ministry over the years and this focus on teaching what is true about God. Putting those two realities together—-truth and 78—we’re linking it to Psalm 78. Bob: Sally, this devotional is just one of the tools / one of the resources you’re making available. I have to tell you—I love this devotional, and I love the work you have done. When I first saw it, my first thought was, “Okay; well, Chapter 1—that would take me a week, maybe longer to go through.” This is not a devotional, where you sit down, and read a story, and read a verse, and then pray a prayer at the end. You’re trying to creatively pull parents and kids, alike, into understanding who God is. Sally: I think we’re very intentional about the discipleship of children—I think the word, discipleship, is really important—where we are making disciples. I think, so often, Christian parents tell children what to believe. What you want to do is—you want to train them to look at the Word themselves, and understand for themselves, and interact with the Word of God so that it becomes their own—it’s personal for them. We’re really pushing parents to interact around the Word. —they will, then, learn to do that in all of life. We start with the mind—and we give them text to interact with and content to interact with—but we don’t want to stop with the mind. We want to go to the heart; so then, we start with application questions: “What does this mean in your life?” “Is there a promise for you?” “What is God saying to you in this passage?” or “How can you apply this to your life?” Then, move to the will, which is where obedience comes in: “Okay; what steps are you going to take in response to what you have heard and what you have learned?” We really do want to start dialogues—spiritual dialogue between parent and child. David: One of the things we emphasize is just the importance of Christian parents teaching their children to think. Rather than just giving them something to believe, we want them to understand why they believe what they believe. I’ve actually learned this from Sally—that one of the most effective tools for helping a child think is by asking questions and interacting with them. That’s why a devotional that just lays out the information—the child hears—but have they really thought and taken that truth and made the application? The interactive dimension of this is really important. I’m just imagining dinner table conversations, with kids around—something as simple as that—where you spend—you could be in Chapter 1 of this devotional for eight or ten days before you ever get to Chapter 2. It would be a rich time. Sally: The whole idea of interacting with children—you can do this at a really young age. I remember my youngest daughter, Kristi, who is now 34—but she was 4 at the time—and we were reading through a Bible storybook with her. She and I would sit there, and I would just pepper her with questions. We couldn’t get through a story in it because I would sit and: “Why did this happen?” and “What do you think God was doing here?”—I mean, just constant questions. —but “Let’s think critically; let’s interact critically.” There needs to be more critical thinking skills about every area of life in our kids; but when it comes to the Scriptures, this is how young people will get engaged and know for themselves: “This is how I believe,” if they’re challenging what they are reading with critical thinking skills. “Bore your children with Shakespeare; bore them with this and that from education, but never bore your children with the Scriptures.” He said: “It’s alive! And we should add electricity to our dinner table, like Bob’s talking about, when we ask these questions and not let the question dribble out and die. Press into the kids—force them to think, like Sally was talking about. Bob: Share a little bit about some of the other things—you’ve got curriculum that churches are using—other resources available; right? Sally: We’ve written Sunday school curriculum all the way up through tenth grade—a mid-week scope and sequence, as well, not quite up to tenth grade but close. We have started on devotional books that parents can use with their children; storybooks; a lot of parenting resources; the Fighter Verse Program™, which is a Bible memory program. Bob: We’ve got a link on our website at FamilyLifeToday.com to the Truth:78 website, where people can see the resources you’ve got available. Dennis: I just was reading it here and I was thinking, “How do we do that?” You can hide something on purpose, or you can hide something by neglecting to teach it. What I want to challenge parents to do is to take, really, what David and Sally have created here and find a way to interact with your family and use your dinner table—recapture it—for some sound discussion and stimulating conversation, but don’t bore them with the Bible. Bob: You’re going to have to start having dinner together now as a result of this. 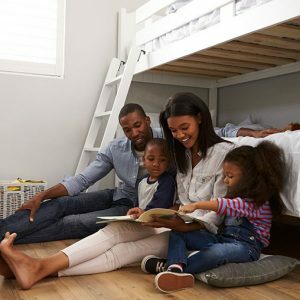 [Laughter] When you do—whether it’s dinner or breakfast, or after dinner, or bedtime, or whenever you get the family together—have some conversations that engage your children in thinking about God—thinking biblically; thinking theologically. The book that Sally has coauthored with Jill Nelson is a great resource to help you with the right kinds of conversations. I’ll just say—from my own experience with this book, and with kids, you can’t get through a whole section in one sitting. This is just a little piece at a time. But a few of these questions—a few of these illustrations, or thoughts, or crafts, or the things that have been put into this book—will help you teach your children to know who God is and to know what His plan is for our lives. The book is called Glorious God, Glorious Gospel. There’s a companion coloring book for young kids to be engaged as you go through these sessions. We’ve got both the coloring book and the book in our FamilyLife Today Resource Center. I’m going to encourage you—if you’ve got elementary-aged kids, pre-elementary, even junior high / senior high kids, get a copy of this book. Next time you’re having dinner, pull it out and read a couple of paragraphs, and start a discussion around your dinner table. Speaking of engaging your children around biblical ideas, especially during the holidays—FamilyLife® has put together a resource that we call “The Twelve Names of Christmas™.” We’ve taken different titles for Jesus and made kid-friendly Christmas tree ornaments that you can use during the Christmas season as a way to introduce your child to whose birthday we’re celebrating—the King of kings, the Lord of lords, the Lamb of God, the Lion of Judah. Each of these ornaments is designed for your kids to be able hang on the tree. You can have a conversation with them about what each title for Jesus’ name means. We’d love to send you “The Twelve Names of Christmas” as a thank-you gift today if you’re able to help FamilyLife with a donation to support the work that we’re doing. Every time you make a donation to FamilyLife, you’re investing in the marriages and families of couples, all around the world, who are receiving practical biblical help and hope as they tune in to this broadcast online, on their local radio station, through their Amazon Alexa devices. There’s a wide variety of ways that people are getting in touch with us and listening to FamilyLife Today. You make that possible when you support this ministry. Again, you make a donation today; and we’d love to send you “The Twelve Names of Christmas” for your kids or your grandkids to enjoy during the holiday season. Donate, online, at FamilyLifeToday.com; or call 1-800-FL-TODAY to make a donation. You can also request “The Twelve Names of Christmas”when you mail your donation to FamilyLife Today at PO Box 7111, Little Rock, AR; and our zip code it 72223. Now, tomorrow, we’re going to talk about how men can protect their moral integrity—their moral purity—especially in a culture or a world that keeps pushing them away from God’s view of sexuality. Roger Fankhauser will be with us here to talk about that tomorrow. I hope you can be with us as well. David and Sally Michael are the co-founders of Truth78. Their ministry has been marked by a strong commitment to equipping and partnering with parents and churches in discipling the next generations and developing resources which reflect sound doctrine. Supported by John Piper, their pastor for 33 years and ministry colleague, they developed a philosophy of ministry and discipleship plan for ministry to children. The Michaels now live in Indianapolis where they serve families at College Park Church. They enjoy spending time with their daughter Kristi, daughter Amy and her husband Gary, and three grandchildren.David Michael is the Pastor for the Next Generations at College Park Church in Indianapolis. 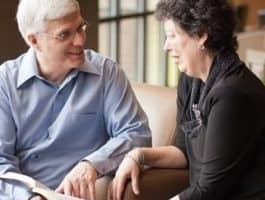 David and his wife Sally have labored together in ministry with a strong commitment to casting vision and developing resources for the spiritual development of children in the home and at church. These resources reflect the passion for truth and the theological and doctrinal commitments that has marked the ministry of John Piper who was David and Sally’s pastor and ministry colleague for 33 years. These resources are now being used in hundreds of churches across the country and in various parts of the world through the ministry of Truth 78 (formerly Children Desiring God) which David and Sally co-founded in 1996. They have two adult daughters and three grandchildren.Sally is a co-founder of Truth78 (formerly Children Desiring God) and has authored curricula and books that are all marked by a passion for developing God-centered resources for the spiritual development of children. For 16 years, Sally served as Minister for Children at Bethlehem Baptist Church in Minneapolis, under the leadership of John Piper and her husband, David. Sally and David, live in Indianapolis where they serve families at College Park Church. They enjoy spending time with their daughter Kristi, daughter Amy and her husband Gary, and three grandchildren.